Product #18673 | SKU RODWS8 | 0.0 (no ratings yet) Thanks for your rating! 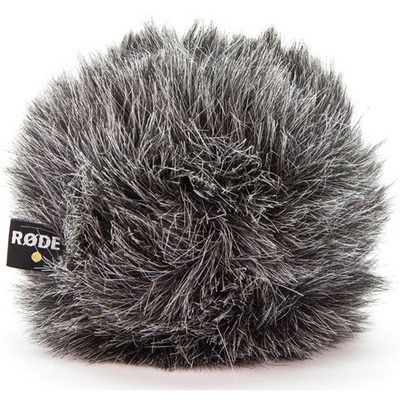 The WS8 Deluxe Windshield from Rode Microphone is an easy-to-use high-performance windshield for microphones of 20 mm diameter and 27 mm capsule depth. It is designed for use with the NT5, NT55, and NT6 small diaphragm condenser microphones. Designed to reduce wind noise when recording in adverse environmental conditions, the WS8 Windshield combines an open-cell foam surround with an outer layer of acoustically transparent artificial fur. A rubber base prevents any wind noise from entering the rear of the microphone pickup area.